Community is a value central to Bob Papich’s life. He has spent a lifetime furthering the interests of his local Rockford community, and much of that time helping to create and develop Rockford’s softball programs. Along the way, Papich has picked up a number of titles. Besides serving as the manager for Rockford’s Sportscore Complex for 17 years, Papich has been a teacher, counselor, organizer, umpire, sanctioning body official and association president. He has also accrued an enviable circle of loyal and respectful friends. 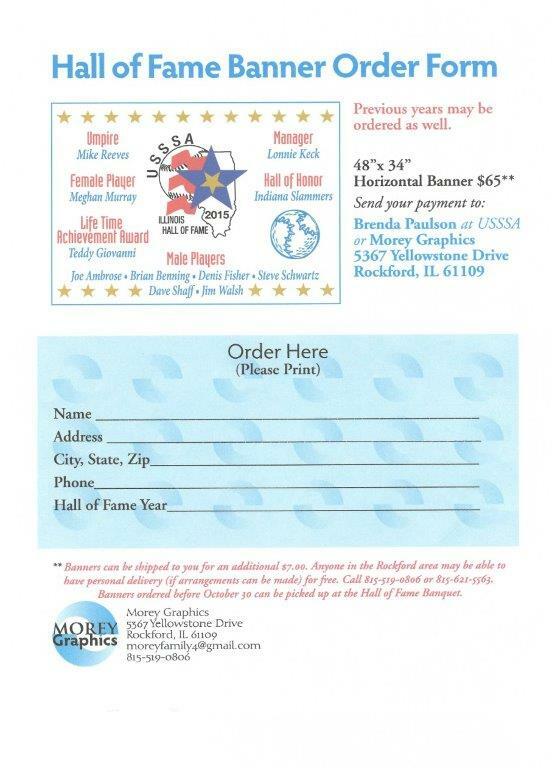 One of those friends, 2001 Illinois USSSA Hall of Fame inductee Dewey Everts, calls Papich one of the most deserving inductees and praises him for his willingness to go the extra mile for the programs he’s administered. Hundreds of players who may not have spoken to Papich will remember him as the omnipresent supervisor at Rockford’s Sportscore, riding around in his golf cart, checking on every detail big and small. The long list of tasks Papich handled well includes supervising grounds and field maintenance, staff supervision, tournament direction, promotion scheduling and umpiring. Papich has worked in various capacities with the USSSA since 1974. In that year, before the development of the Sportscore and such other Rockford facilities as Forest Hills Diamonds, Papich put together the first women’s slow pitch program in Rockford. It started out with just ten teams, but grew quickly. From 1981 to 1983, Papich helped oversee the development and construction of the Sportscore. The spacious, eight diamond facility transformed Rockford into a viable site for State and National softball tournaments, but it was not just the structures which made the Sportscore a great place to play softball. People clearly matter to Papich, both those who play the games and those who work at the facility. Papich did his best to lead by example, and expected staff to follow. As loyal as Papich is to the USSSA, he is ecumenical regarding softball sanctioning bodies. Over the years, Papich has worked with the USSSA and ASA, among others, in both slow pitch and fast pitch events. Now retired from the Park District, Papcih continues to work in the sports field in several capacities. He umpires both slow and fast pitch for the USSSA and for girl’s high school games. In addition, he is the President of the Sportsplex Owners and Developers Association (SODA), a national organization dedicated to developing and improving amateur sports facilities throughout the United States. We honor Bob and his essential contributions to softball and the USSSA to thank him for forty years of dedicated efforts and to honor him with induction into the Illinois USSSA Hall of Fame.